Welcome to the June issue of Northern Connection magazine! choice EVERY DAY, TO ACT ON yesterday’s GOOD INTENTIONS OR GET AN EARLY START ON tomorrow’s REGRETS. Northern Connection is published twelve times a year by Swanson Publishing Co., Inc. (P.O. Box 722, Wexford, PA 15090-0722, 724-940-2444) and is distributed free of charge to the northern suburbs of Pittsburgh. Subscription can be purchased from the publisher at $25 for one year. The mission of the Swanson Publishing Co., Inc. is to connect the northern suburbs of Pittsburgh by publishing the area’s finest community publication, Northern Connection. The publication is dedicated to the people, communities, educational, religious, travel, and recreational needs of the area. The contents of Northern Connection magazine may not be reproduced or copied in whole or in part without written permission from the publisher. Northern Connection magazine reserves the right to refuse editorial or advertisements that do not meet the standards of this publication. 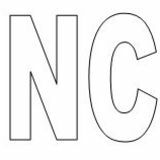 @NCONNECTIONMAG Find us on Facebook under Northern Connection Magazine! Coupon must be presented at time of purchase. Not valid on alcohol. Expires June 30, 2015. Movers & Shakers The Farmers National Bank of Emlenton recently donated $5,800 to the Passavant Hospital Foundation. These funds will be used to advance health and wellness through education, outreach and grant making in the McCandless and Cranberry areas. Greater Pittsburgh Community Food Bank has received $252,950 in grants from the Walmart Foundation to expand select summer food programs for children and enhance nutritious food delivery throughout the organization’s 11-county southwestern Pennsylvania service area. The St. Barnabas Founder’s Day celebration which honored Dr. Charles Krauthammer held on April 30 was a successful event. Pictured is – William V. Day, president of St. Barnabas, Claire Pushak, 83, a patient at Valencia Woods at St. Barnabas and Dr. Krauthammer, 2015 Hance Award winner. St. Barnabas Health System announced its Employees of the Month for April. They are: Beverly Walter, Paul Gilmour, Alyssa Sheftick, Timothy McBee and Megan Grey. The Farmers National Bank of Emlenton recently donated $5,000 to St. Barnabas Charities. This donation will help support patients in need, who reside at St. Barnabas Nursing Home, Valencia Woods at St. Barnabas and The Arbors at St. Barnabas. POWER (Pennsylvania Organization for Women in Early Recovery) announced that its executive director Rosa Davis is among seven women who were honored at its 33rd annual Tribute to Women Leadership Awards Luncheon. VA Butler Healthcare hosted VA2K Walk and Roll on May to encourage healthy activity while supporting homeless Veterans with donated items. William F. Kraft, professor emeritus at Carlow University has recently published Coming to God, A Psychospiritual Approach. For info, call (541) 344-1528 or email orders@ wipfandstock.com. Two local high school seniors were awarded the annual G. Napier and Ellen T. Wilson Scholarship by officials at VA Pittsburgh Healthcare System. Andrew Warburton, a 16-year old senior at Quaker Valley High School volunteered nearly 400 hours at VA Pittsburgh’s University Drive location in 2014. Christopher Parris, a senior at Burgettstown High School volunteered more than 120 hours at VA Pittsburgh’s University Drive location. Bateleur Eagles were unveiled at the National Aviary on May 14. These majestic birds of prey are new to the National Aviary and are rarely seen in zoos. For info, visit https://www.aviary.org/ McAuley Ministries, Pittsburgh Mercy Health System’s grantmaking foundation, has awarded 14 outreach grants totaling $594,137 to 13 Pittsburgh-area nonprofit organizations to expand outreach initiatives to vulnerable populations. Strassburger, McKenna, Gutnick & Gefsky announced that Julie I. Kline recently joined the firm as counsel. Triple Triumphs! Triplets Kristen, John and Heather Barczynski of Franklin Park have received accolades for their community work. Kristen will received her Girl Scout Gold Award on June 13. Her service project was the painting of a 500 square foot mural at the Latodami Educational Nature Center at North Park. John earned the Boy Scout Hornaday Silver Medal Award along with his Eagle Scout Award. Heather who aided her brother and sister in their service projects, is a freshman at the National Technical Institute for the Deaf at Rochester Institute of Technology. The triplet’s parents Lisa and John also helped in all of the community projects. The family of five worked on five different projects totaling 2,010 hours, engaged 77 different individuals, $30,000 was for the benefit of Latodami Educational Nature Center in North Park. he Whiskey Rebellion Festival celebrates the heritage and unique character of the region by focusing on the historical significance of the Whiskey Rebellion. The history of the rebellion is unique to western Pennsylvania and primarily Washington County. Community focused entertainment and family activities create a festival that pays tribute to the past, celebrates the present, and looks toward the future. This year it will take place from July 9-12 with historical reenactments, period exhibitions, demonstrations, frontier art, music from nationally renowned artists, and great food. All of the music, entertainment, and activities are FREE. AcceleDent works well with both Invisalign, braces and lingual braces,” said Dr. Grady. GKG Orthodontics has always been dedicated to providing their patients with the best and current treatment options available. According to Dr. Kastner, AcceleDent Aura was introduced to their practice as a result of a patient’s need. “The first patient I used AcceleDent on was an adult Invisalign patient a few years ago who had two years of treatment proposed. It was a very difficult case. He asked me if there was any way to shorten his treatment time and I suggested AcceleDent. He achieved his great result in half the time and I began using AcceleDent more going forward.” Patients are really pleased with the ease and the positive results of this innovative orthodontic instrument. Eric, a current AcceleDent patient, had this to say – “I had an unusual bite and did not receive treatment when I was younger. For my long-term health, it was important that I address this issue. But as a college student who likes to play basketball, I didn’t want my appearance to be affected for a long period of time or my ability to play basketball to be hampered by invasive procedures. Learning that my treatment would speed-up significantly using AcceleDent Aura made the decision to use it a no-brainer for me. AcceleDent has definitely made my treatment much faster and more comfortable!” “A number of products and companies advertise straight teeth in six months, but do not deliver comprehensive results. Dr. Michael Vactor with Dr Ed Rodgers, father of Super Bowl MVP quarterback Aaron Rodgers discussing his weight loss program. Juanita S., Ambridge PA Lost 43 lbs. Jen S., Pittsburgh PA Lost 47 lbs. Tammy T., Cranberry Twp. PA Lost 48 lbs. and Keep it Off with Dr. Vactor’s Innovative Weight Loss Program! weight-loss issues. In addition, Dr. Vactor also cares for the players, coaches and families of the Pittsburgh Steelers’ and Pirates’ organizations. To date, 90-95% of his patients have achieved their weight loss goals. YES, 90-95% of patients have achieved their weight loss goals. Dr. Vactor is so absolutely sure of the results and outcomes of his program, that he offers a GUARANTEE of RESULTS! Dr. Vactor and his family have lived in the Cranberry and Mars area, where he is also devoted to his community and helping his patients reach their goals. Over fifteen years in this community, he would not and could not make any such guarantee claims for weight loss, if they weren’t true. Dr. Michael Vactor and KDKA afternoon host How to Get Started: If you Robert Mangino discussing on air how are serious about losing up to 30 well Mangino did on his program. lbs. of extraneous weight, inches off your waist and, most importantly, improving your health in about a month’s time, call for a FREE, in-office review of this revolutionary weight loss system. Our office is conveniently located at 673 Castle Creek Drive Ext., Suite 106, Seven Fields, PA 16046. http://www.drvactor.com Improve your health today! Call now, at 724-742-2700. If you are one of the first 25 callers to schedule your no cost/no obligation consultation and in office review, and mention you saw Dr. Vactor on the cover of the Northern Connection’s June issue, you will receive a $50 discount good towards any of his guaranteed weight loss programs. Not valid with any other offers and new patients only are eligible. F Individual results may vary, depending on starting weight, adherence to the program and other factors. Complete details of the guarantee can be reviewed prior to starting the program. We may not be your first choice, but we will be your last! “I highly recommend Dr. Shawn Richey and everyone at his practice. Before finding Dr. Richey, my neuropathy was getting worse and during the past year, it was getting really bad; but after receiving these treatments, I am already feeling a significant reduction in symptoms and pain relief even though I’m only partway through my treatments. The best part is that I feel that I am taking an active role in getting better and I am even improving my overall health since now, I can go for walks and be more active. The treatments are great and very relaxing – their office is beautiful and while I receive low level light therapy on my feet, I can connect to their WiFi and do my email!” — Lynda E.
My doctor said there was no help for my neuropathy . . . Until Now! What is Peripheral Neuropathy? Peripheral Neuropathy occurs when nerves are damaged or destroyed and can’t send messages to the muscles, skin and other parts. 724-940-9000 If you are experiencing some or all of these symptoms, you are a candidate for our program Get Your Life Back with our program that has proven results. Call Laura or Mary to reserve your space TODAY! Don’t accept a one-size-fits-all approach to your health. You no longer have to settle for off-the-shelf healthcare. At ConnectedHealth, we provide you with everything from primary care to fitness. You can get in-office lab tests, health assessments, and a care strategy that combines nutrition, fitness, pharmacy and medical services. You can also get the convenience of same or next day office visits, round-the-clock access to your doctor, FREE tele-medicine services so you don’t need to leave the house in bad weather and even house and office calls when medically necessary. ages, a general fitness center and private gym for people looking to work out on their own or with a personal trainer. ConnectedHealth is a model of patientcentered health care. transitions in and out of the hospital back to the home •	Proactive monitoring and management of your health and wellness By way of introduction, here are a few of our most frequently answered questions: What is concierge medicine or direct primary care? It’s a medical practice that offers the highest quality health care with no time limitations. Patients pay a flat fee, regardless of age or condition, and receive enhanced services including same-day appointments, 24/7 access to their doctor, and Virtual HouseCalls. How is that different from a traditional internal medicine practice? Traditional internal medicine practice doctors are responsible for thousands of patients. At ConnectedHealth, each doctor has several hundred. That means better access to your doctor, ease of getting an appointment, and more time with your doctor. And the concierge doctor and health coach are on-call via Virtual HouseCalls, text, phone and email. What if I need care after hours? You’ll have your doctor’s and health coach’s cell phone numbers for 24/7 text and phone call access in case problems arise outside of typical business hours. Should immediate attention be required, your doctor and health coach will arrange and coordinate either a home visit or coordinate with an appropriate provider. How does ConnectedHealth handle pricing and insurance? At the heart of ConnectedHealth is team approach to primary care and wellness that includes the care from an internal medicine physician, gym, health coach, and a care plan with input from experts in fitness, pharmacy and nutrition. All for an affordable flat, monthly fee. Your insurance may cover certain services or visits, some of which may apply to a portion of your annual deductible. We’ll work with you to determine how your insurance may or may not apply. You’ll still need health insurance to cover all other health care visits unrelated to your physician and wellness program, including lab tests, specialist visits and hospital stays. We’ll be happy to discuss what makes the most sense for you. Depending on your employer and insurance benefits, portions of your membership fee may be applicable to your out-of-pocket deductible or spend down requirements through FSA, HRA or HSA plans. We also offer employer programs, so see if your employer covers ConnectedHealth through their wellness and prevention programs. My insurance provides for an annual physical. What more does the ConnectedHealth program give me? We ensure that you receive all recommended preventative services, including an annual physical. Our wellness program encompasses advanced screenings in combination with personalized counseling with your doctor to develop your customized wellness program. Will my insurance cover the annual fee? Most insurers view the comprehensive wellness services encompassed by the annual fee as non-covered services and do not provide reimbursement. Your health coach will help you understand your insurance requirements. he human brain is incredible. It’s so proficient at handling so many tasks (everything that happens in every part of the body). Taking care of your brain will enhance many areas of your life, health, and well-being. Chiropractic care plays a unique role in the care of the brain. I’m going to teach you some brain “basics” and then show you some really cool ways your brain function changes with chiropractic. tem to change brain patterns that limit the body’s ability to adapt. When we talk about coordination we talk about keeping your body upright against gravity. No small feat! Your brain Your brain is amazing. Are you taking care of it? needs a constant feed of information from your nervous system to keep you balanced and moving. A loss of normal spinal alignment is not usually painful at the beginning but you will see changes in a person’s position sense. Over time, as there’s less and less information going into the brain, our movement patterns, gait, and posture become more abnormal. The chiropractic adjustment has a positive effect on restoring that positional input to the brain, where the cortex and spinal cord “fire” outgoing messages. This essential input helps to reduce injuries and posture problems. Physicians/Healthcare Professionals Attention all health care professionals... In the July 2015 issue of Northern Connection magazine we will be featuring the outstanding healthcare in the Pittsburgh area. Make sure you reserve your spot to highlight your specialty! An Acne Sufferer Finds a Solution...Finally! Happenings for Seniors Free Home Safety Inspection is available for seniors through the Open Your Heart to a Senior program. For info, call Cathy at (412) 307-0069, ext. 3313 or clpschirer@nhco.org. Free Services for Seniors through North Hills Community Outreach. Help with rides to medical appts., grocery stores, yard work. For info, call Cathy at (412) 307-0069 ext. 3313 or Kerry at (412) 449-0151 to schedule an in-home registration visit. Home Instead Senior Care® is offering a unique approach to help area families in Northwest Allegheny County manage the challenges of Alzheimer’s and other dementias. Free training is available for families at HelpForAlzheimersFamilies.com. McKnight Meals on Wheels provides home delivered meals to the elderly, homebound and disabled. Services Ross Twp., Berkley Hills, Swan Acres & part of McCandless Twp. Call (412) 487-4088. Oasis Intergenerational Tutoring – An Hour a Week Can Change a Child’s Life. For adults 50 & over become a tutor. Training sessions are held at Macy’s downtown. For details, call (412) 232-2021. UPMC Senior Communities offers independent living & personal care. For details, call 1-800-324-5523. Support Groups Alzheimer’s Support Group, 10 a.m., 1st Monday of each month, St. Catherine of Sweden Parish, 2554 Wildwood Rd. For details, call Suzie, at (412) 337-6731. Bereavement Support Group (for Widows/Widowers over 50), 1-2:30 p.m., 2nd & 4th Wed., St. Sebastian, Haber Hall. To register, call (412) 366-1300. Paramount Senior Living at Cranberry Alzheimer’s Affiliated Support Group meets 3 p.m., the 1st Mon., of every month, and 2 p.m., the last Friday. Contact Pam, at (724) 779-5020. Senior Meetings Cranberry Senior Citizens Club for residents 55+ meets at 1 p.m., the 2nd Tues., of the month in the Cranberry Municipal Center. Call (724) 816-4977 for info and programs. Glenshaw AARP #3744 Installation Banquet, 6 p.m., (doors open 5 p.m.), June 9, Hampton Banquet Hall, 5416 Rt. 8, Gibsonia. Entertainment DJ Rick Angelone. Friendship Groups for Visually Impaired, Men’s Group meets every Weds. 1-3:15 p.m., Knitting & Crocheting Circle meets every Weds., 1-3:15 p.m., Monthly Meeting 2nd Thurs. of each month 1:15-3:15 p.m., The Lunch Bunch meets 4th Thurs. of every month 11 a.m.-1:30 p.m., The Talking Book Club meets 1st Mon. of each month 1-2:30 p.m. For info, call (724) 444-0064. Primetimers, noon, first Thurs of the month, Christ Church Grove Farm, Ohio Twp. For info, call (412) 741-4900 or visit http://www.ccgf.org. Seminars A Day of Health for Seniors, 10 a.m.-1 p.m., June 30, Legacy Theatre. RSVP to (412) 6358080. Presented by UPMC Senior Communities, UPMC Health Plan & UPMC Centers for Rehab Services. Pittsburgh Doo Wop Big Band, 2 p.m., June 22, Sherwood Oaks, 100 Norman Dr., Cranberry Twp. For reservations, call 1-800-642-2217. Pittsburgh’s Own, Etta Cox, 2:30 p.m., June 17, Strabane Trails Village, 317 Wellness Way, Washington, Pa. Call (724) 225-4100; 2:30 p.m., June 18, Beatty Pointe Village, 700 Beatty Rd., Monroeville. Call (412) 374-9000; 2:30 p.m., June 24, Lighthouse Pointe Village, Fox Chapel. Call (412) 781-2707. Saint Alexis Over 50 Trips & Events, June 28, Bobby Vinton trip; Nov. 20, Light Up Night; Sound of Music, March 2016; New York City trip; June 2016. Contact Rose at (724) 7282563 or Janet at (724) 869-5339. Volunteer Opportunities: Hope Hospice is looking for volunteers to visit Hospice patients. For details, call (412) 367-3685. North Hills Community Outreach’s Faith in Action program is seeking Senior Companion volunteers. For details, contact Nancy, at (412) 307-0069 or nljones@nhco.org. Open Your Heart to a Senior has an urgent need drivers to help seniors get to doctor appointments, etc. For details, call (412) 307-0071 or allegheny@openyourhearttoasenior.org. Open Your Heart to a Senior volunteer orientations, 6:30 p.m., June 9, Lighthouse Pointe, 500 Chapel Harbor Drive, Aspinwall. For details, visit oyhs.org. Pittsburgh Friendship Group is looking for volunteers to help visually impaired seniors. No experience is necessary. Call (724) 444-0064. Spring yard work help needed for seniors countywide. Call the United Way helpline at 2-1-1 or email allegheny@openyourhearttoasenior.org. Volunteer drivers are needed for various programs to help seniors. For details, call (412) 307-0071 or allegheny@openyourhearttoasenior.org. Common Birds of Western PA, 2:30 p.m., June 19, Vanadium Woods Village, 50 Vanadium Rd., Bridgeville. For info, call (412) 2212900; 2 p.m., June 25, Seneca Hills Village, 5350 Saltsburg Rd., Verona. For info, call (412) 793-1700. Kaufmann’s Department Store: Everything Under the Sun, 2:30 p.m., June 11, Lighthouse Pointe Village, Fox Chapel. For info, call (412) 781-2707. Pittsburgh Eye, featuring Dennis J. Courtney, MD, 2:30 p.m., June 30, Strabane Trails Village, 317 Wellness Way, Washington, Pa. To register, call (724) 225-4100. Protecting Your Retirement Assets: Lunch & Learn, 11 a.m., June 9, Sherwood Oaks, 100 Norman Dr., Cranberry Twp. For info, call 1-800-642-2217. The Taming of the Tomato, The Founding of the H.J. Heinz Company, 2:30 p.m., June 10, Beatty Pointe Village, 700 Beatty Rd., Monroeville. To register, call (412) 374-9000. Entertainment & Social Events Cahal Dunne: Ireland’s Happy Man, 3 p.m., June 18, Seneca Hills Village, 5350 Saltsburg Rd., Verona. For info, call (412) 793-1700.
and women. The gathering will also include a community picnic with food and live entertainment. Donations will be accepted and all proceeds benefit the Yellow Ribbon Girls, which is a group of dedicated sisters from Ellwood City who sends boxes of supplies to our troops throughout the world. Bring your lawn chair, and flag and help show the world that we support our troops. For further information on the “Support Our Troops” Rally, contact Bob Gwin at (724) 777-7772 or visit www.vva862.org. F We welcome brief biographies and photos of local servicemen and women from our community. If you know of someone you’d like to see featured in this column, please call (724) 940-2444 or mail the information to: Northern Connection Magazine, P.O. Box 722, Wexford, PA 15090-0722 or email northcon@consolidated.net. Deadline for submissions is by the 12th of the month prior to publication. June 2015 Happenings North Happenings North Hill Community Outreach Back-to-School Collection, new backpacks and school supplies for students in kindergarten thru 12. Donations accepted until July 31. For info, call (412) 487-6316, opt. 1 or vdburst@nhco.org. North Hills Community Outreach’s Community Auto Program serving the Greater Pittsburgh region needs car donations. Call (724) 4438300 or www.communityauto.org. North Hills Food Bank, 10 a.m.-1:45 p.m. every Tues & Thurs, rear parking lot of Hiland Presbyterian Church, 845 Perry Highway. Call, (412) 366-7477 or www.northhillsfoodbank. com. Donations always welcome. Mondays Chisel and Chips Carvers of North Pittsburgh meetings, meets 6:30-10 p.m., the 2nd Monday of every month, Parkwood United Presbyterian Church, 4289 Mt. Royal Blvd., Allison Park. For info, call (724) 940-0034. Greater Cranberry Barbershop Chorus, meets every Monday at 7 p.m., Mars Alliance Church, Rt. 228. Visit Bogmeisters.com. Wednesday	Country Knight Line Dancers host a line dance 7-10:30 p.m. every Wed., in St. Athanasius Hall, cost $5 per person. Call, Janine (412) 931-6971 or janine.beley@ gmail.com. Thursdays Cranberry Women’s Club, meets 7 p.m. the 2nd Thurs of the month, Cranberry Library Meeting Room. Contact Sandy, (724) 779-1854. Handicapable Square Dancing, 7-8 p.m., weekly on Thursdays, Dorseyville Alliance Church, 3703 Saxonburg Blvd. For ages 16 & older. To register call (412) 9158486 or (724) 443-2616 or beatty3@consolidated.net. Friday Christy House Tea Room Luncheon, 11:30 a.m.-1:30 p.m. Fridays, on Walnut & Frederick in Sewickley. Homemade soups, salads, breads & cookies. Needles Eye & Early Treasures gift shops. RSVP to (412) 741-5960. “A Perfect Pair Mix & Match Ice-Breaking Singles Dance, West View VFW, 386 Perry Hwy, West View. Call, (724) 316-5029 or www.dancetonight.weebly.com. Arts & Entertainment First Member’s Show for the Cranberry Artists Network, June 3-25, at the Cranberry Township Municipal Building, Rochester Rd., Cranberry Twp. Keystone State Musical Theatre: Always…Patsy Cline, June 12-20; Pinkalicious, the Musical, June 20-21, Rotary Ampitheater in Cranberry Twp; July 9-11 (as part of Cranberry Community Days). For info, visit http://www.keystonestatemusictheater.org. Legacy Theatres shows: Johnny Angel & the Halos, 7:30 p.m., June 13, The Fabulous Hubcaps, 7:30 p.m., July 25; Jimmy Beaumont and The Skyliners, 7:30 p.m., Aug. 22. For tickets, call 1-877-987-6487 or thelegacylineup.com. Pittsburgh Cultural Trust presents, windowSPACE: Thinkers An Exhibition by Randy Gilson, runs thru June 28, Space, 812 Liberty Ave. For info, visit TrustArts.org. Three Rivers Art Festival, June 5-14, Point State Park, Cultural District & Gateway Center. For info, visit TrustArts.org. Very Eric Carle traveling exhibition premieres June 13, and runs thru Sept. 20, Children’s Museum. For details, call (412) 322-5058 or www.pittsburghkids.org. World Revolves Around You: An Exhibition by Norwegian Artist HC Gilje, runs thru June 21, Wood Galleries. For details, visit TrustsArts.org. Health & Wellness Greater Pittsburgh Community Food Bank and Pirates Charities team up and created recipe cards that focus on nutrition. For details, visit www.pittsburghfoodbank.com. Orchard Hill Church sporting activities: Co-Ed Indoor Soccer, 8:30- 10 p.m., Weds., Sept. 16-Dec. 9, gym; Co-Ed Volleyball, 7:30-9 p.m., Tues., Sept. 15-Dec. 8; Zumba, 6:15-& 7:15 p.m., Tues., Sept. 15-Dec. 8. Call (724) 935-555 or orchardhillchurch.com. UPMC BodyChangers Fashion Show, 6-10 p.m., June 13, UPMC Cancer Pavillion, Herberman Conference Center, 5150 Centre Ave., 2nd Floor. For info, call 855-2639244 or bodychangers@upmc.edu. Vigil of Hope, 7 p.m., June 3, the Legacy Theatre (next to Cumberland Woods Village). Sponsored by the Bridge to Hope Family Support Group in partnership w/Passavant Hospital Foundation. For info, call (412) 748-6640. Counseling	Ask the Attorney, free legal consultation for low-income families. Sessions are 7 p.m., June 10, NHCO Boroughs; July 8, NHCO Ferguson Rd. For info, call (412) 408-3830 or hzgibbs@nhco.org. Berkley Hills Lutheran Church is offering it Stephen Ministry Program for people experiencing grief, divorce, cancer, illnesses, job loss, loss of home, military deployment & other life struggles. Free & confidential program for people of any faith. Call (412) 486-4010 or www.bhlc.org. Employment Counseling is available through Workable, a countywide United Way-funded program through North Hills Community Outreach. For info on workshops & counseling, contact Harriet at (412) 408-3830, ext. 3219 or visit www.workableac.com. Group Services, Intensive Outpatient Program, 5:30-8:30 p.m., M,W, Th.,Therapy Group 6-8 p.m., Tues., Family Only Group 7:30-9:00 p.m., 2nd Tues, Psycho-educational Support Group 7-9 p.m., 4th Mon. Contact Anita at 412-215-7967, pened1@aol.com, or www. anitasinicropemaier.com. Professional Counseling, need someone to talk with but can’t afford it or lack health coverage. Call Anchorpoint Counseling Ministry, (412) 366-1300. Support Groups Bereavement Support Group, Beyond Bridge to Hope, 7-8:30 p.m., 2nd Wed., of every month, Passavant Hospital Conference Center, McCandless Twp. Free of charge, no registration is necessary. For details, (412) 748-6640. Bereavement Support Group (for widows/widowers over 50), 1-2:30 p.m., 2nd & 4th Wed. Hosted by St. Sebastian Parish, Haber Hall. To register, call (412) 366-1300. Bereavement Support Group in the North Hills, 10-11:30 a.m., 2nd & 4th Thurs. of each month, St. Paul’s United Methodist Church, 1965 Ferguson Rd., Allison Park. Contact Heritage Hospice at (724) 3346600 with questions. Bridge to Hope, 7-8:30 p.m., every Wed., of the month, Passavant Hospital Conference Center, McCandless Twp. For drug & alcohol addiction. Phone, (412) 748-6640. Lupus Foundation meetings, 7-8:30 p.m., every 3rd Tues, UPMC Passavant Hospital, 9100 Babcock Blvd., Donor Hall. To register, call (412) 261-5886 or ccallen92@aol.com. Professional Counseling for seniors, families & kids, for those who can’t afford counseling or lack healthcare coverage. For info, call (412) 366-1300 or www.anchorpointcounselingministry.org. Recovery programs for Addicts & Codependents is available at Orchard Hill. For details, call (724) 935-5555 or visit http://www.orchardhillchurch.com Women’s Self Care Support Group, 10:30 a.m.-noon, Sats., Anchorpoint Counseling. For info, call (412) 366-1300, ext. 129 or www.anchorpointcounselingministry.org. Networking AM Spirit, a business networking group, meets 7:15 a.m. every Wed, at North Park Deckhouse, Rt. 19, Cranberry Twp. For info, call Glen at (412) 916-8699. Cranberry Chapter of Professional Referral Exchange meets 7:15 a.m., networking meeting every Wed., North Park Deckhouse, Rt. 19, Cranberry Twp. Call Mary Ann, (724) 935-2221. Toastmasters Cranberry High Noon Club, meets noon-1 p.m., every Mon., Pella Windows Training Center, 230 Thorn Hill Rd., Warrendale. Questions? Call (724) 316-3595 or email SueEllis@PeopleLearn. com. HAPPENINGS June 2015 Volunteer tutors needed to work with adult literacy students on basic literacy skills. 4 hour/week commitment. Free tutoring training provided. To register call Greater Pittsburgh Literacy Council, (412) 393-7600 or http://www.gplc.org/ become-a-volunteer.cfm. Volunteer Tutors Needed for children struggling with school work. Call Anchorpoint Counseling Ministry, (412) 366-1300 or www.anchorpointcounselingministry.org. Spiritual Joyful Sounds Concert, 7 p.m., Saturday, June 6, at Saint Alexis Church. Presented by the Adult and Handbell Choirs. Admission is free, however, a free will offering will be accepted to benefit the Ladies of Charity. any day in June, or weekdays in July or Aug. For info, visit www.northallegheny. org/athletics. Tickets can be purchased online ($1.25 per ticket online fee) visit www.kennywood.com/na. Saint Sebastian School in Ross Township is accepting applications for preschool thru 8th grade for the 2015-16 school year. For an application or info, call (412) 364-7171 or www. SaintSebastianParish.org. Seminars Legacy Theatre Seminars: Franklin Delano Roosevelt Commander-in-Chief, 11 a.m., June 2; Virtual Field Trip to a World Famous Geode Mine, 11 a.m., June 16; Pigeon Heroes, 11 a.m., July 14; Immaculate Reflections of Art Rooney, Chuck Noll & Troy Polamalu, July 28. For info, call 1-877-987-6487. Western PA Genealogical Society presents “Family History Your Family Will Actually Enjoy,” 10 a.m., June 13, Carnegie Library of Pittsburgh Lecture Hall. Free & open to the public. For info, call (412) 687-6811 or www.wpgs.org. Reunions Saint Sebastian School Class of 1964 reunion, Aug. 22. The reunion committee is seeking graduates. For info, call (412) 364-7171. Veterans North Pittsburgh Quilts of Valor meets 7-9 p.m., 2nd Mon., of the month, Quilt Company, Middle Rd., Allison Park. Call (412) 487-9532 or www.qovf.org. Pennsylvania CommunityBased Programs Awarded VA Grants to Support Disabled Veterans in Adaptive Sports at Slippery Rock University. For info, visit www. va.gov/adaptivesports. VA Benefits Seminar, 2:30 p.m., June 2, Vanadium Woods Village, 50 Vanadium Rd., Bridgeville. For info, call (412) 221-2900. Veterans Discover HOPE Here-Career, 3rd Wed., 6:308:45 p.m., Cranberry Twp., Municipal Building, 2525 Rochester Rd., Cranberry Twp. Free. Call (724) 779-8323, discoverhopehere@gmail.com or www. discoverhopehere.com. Veterans Fitness Classes 5 Days a week, 4:30-5:30 p.m., VA Butler Healthcare Auditorium (bldg. 1), 325 New Castle Rd., Butler. For details, visit www.prevention.va.gov/B_ Physically_ Active.asp. Veterans’ Military Sexual Trauma (MST) Support Group, 10 a.m., Fridays, VA Butler Healthcare. For info, call 800-362-8262 ext. 2498.
â&#x20AC;&#x153;Veteran Xâ&#x20AC;? mental health & substance abuse recovery program for vets meets 6 p.m., every Mon., at VA Butler Healthcare, Room 213, East South (ES), 325 N. Castle Rd., Butler. For info, visit http://www.butler.va.gov/. Sales Anchorpoint Ministry Used Book Sale, 10 a.m.-8 p.m., June 13-18 (Sunday hours, noon-6 p.m.), former Papermart Building, McKnight Rd. For details, visit www.anchorpointcounselingministry.org. Fundraisers Cindystock 12, 4 p.m., Aug. 15, Warrendale. Held for potentially life-saving cancer screening tests and essential cancer support services. Environmental & Gardening Events Annual Hosta Show, 1-4 p.m., June 6, Plant Sale begins at 10 a.m., Soergel Orchard, Wexford. Presented by the Daffodil Hosta Society of Western PA. For info, visit http://www.dhswp.com/ Friends of North Park Events: Garden in the Park, 9 a.m.-1 p.m., Aug. 15. For info, call (724) 544-7284. Great Local Gardens Contest sponsored by the Shaler Garden Club & Shaler North Hills Library runs through July 14. For details, visit www.shalerlibrary.org. Greybrooke Garden Club, 9:30 a.m., June 10, Fellowship Hall of Parkwood United Presbyterian Church, 4238 Mt. Royal Blvd. For info, call (412) 296-0538. Eye Kandy in Zelienople is collecting gently used shoes for those in need in developing countries. The goal is to collect 10,000 pairs by July 31. Inaugural Charitable Block Party, 4-7 p.m., June 6, The Woodlands, 134 Shenot Rd., Wexford. For info, call (724) 935-6533. Pittsburgh Walk Now for Autism Speaks, 10 a.m., Jun. 14, Schenley Park. For info, call (412) 367-4571 or visit www.walknowforautismspeaks.org/pittsburgh. HAPPENINGS June 2015 Summer Events Ice Cream Social & Fleece to Shawl, 1-4 p.m., July 12, Depreciation Lands Museum. (412) 486-0563 or DepreciationLand@gmail.com. Steel City Con, Aug. 7-9, Monroeville Convention Center, 209 Nall Blvd., Monroeville. For details, visit http://www. steelcitycon.com. Summer Theatre at St. Vincent College, The Marvelous Wonderettes, runs thru June 14; Tuesdays with Morrie, June 18-July 3; Into the Woods, July 9-26; Moon Over Buffalo, July 30-Aug. 16. For info, visit www. svst.org. Whiskey Rebellion Festival, July 9-12, for details, visit www.whiskeyrebellionfestival.com. Woodlands Block Party, 4-7 p.m., Jun. 6, The Woodlands, 134 Shenot Rd., Wexford. For info, call (724) 9356533 or ccohn@woodlandsfoundation.org. Strawberry Festival, 4-7 p.m., Saturday, June 13, Mt. Nebo Presbyterian Church. Picnic Food & Antique Car Show. For more info: 412-741-6880. Three Rivers Arts Festival, June 5-14, downtown Pittsburgh. For info, visit www.TrustArts.org. Pine Community Day, 4 p.m.-dusk, July 18, Pine Community Park. Family fun, games, great food & fireworks. Performance by Tres Lads band. For info, call (724) 625-1636 x3 or pinecenter@twp.pine.pa.us. Free Summer Outdoor Concerts at Shady Side Academy: The Squirrel Hillbillies, 5-7 p.m., June 25; Melinda, July 16; SSA Jazz Combo, Aug. 6. For info, call (412) 968-3045 or www.shadysideacademy.org/playground. Pittsburgh JazzLive International Festival, June 19-21. For details, visit TrustArts.org/jazzlivefest. Camps Depreciation Lands Museum Adventures in Pioneer Living Camp, 9 a.m.-noon, Session 1: June 15-19; Session II: July 20-24. For info, call (412) 486-0563 or www.planetreg.com/PioneerLiving. Girls Basketball Skills Camp sponsored by Vincentian Lady Royals, June 22-26. For girls entering grades 4-8. To register, visit www.vincentianacademy.org or vagbbsummercamp@gmail.com. SonSpark Labs Vacation Bible Camp, 9 a.m.noon, June 15-19, Saint Alexis Parish, 10090 Old Perry Hwy. For info, call (724) 935-4343 or www.stalexis.org. Golf Butler County Chamber 59th Annual Golf Outing, Lake Arthur Golf Club. For info, call (724) 283-2222 or ButlerCountyChamber.com. Golf Outing for Elliott Acres Therapy Riding, 10 a.m., July 12, Hartmann’s Summer Resort, 169 Hartmann Rd., Harmony. Cost $70, registration due by July 7. For details, call (724) 283-0947. Sisters of St. Francis of the Neumann Communities (Millvale) Golf Tournament, 12:30 p.m., July 22, at Longue Vue Club, 400 Longue Vue Dr. Call (412)821-2200, ext. 217 or visit www.sosf.org to register. Library Northland Library, The How of Happiness, 7 p.m., June 15; Osteoarthritis & Exercise, 10 a.m., June 18, Want to Learn to Play Disc Golf? 7 p.m., June 18; All Roads Lead North, 7-9 p.m., June 24, 300 Cumberland Rd., McCandless. For info, call (412) 366-8100 x103 or www. northlandlibrary.org. his 1926 Chevrolet Champ race car is from Randy Hart’s North Allegheny Car Care class in 1992-1994. Hart has recently purchased the car back from Quaker Steak & Lube and plans on showing it at local race tracks and car cruises. He is attempting to contact his former students to join in on showcasing the car to our community. Hart can be reached at (724) 4525747 or wyomingrandy@gmail.com. Summer Street Style TO GO! We at Northern Connection magazine are proud to continue featuring these incredible individuals who continually go above and beyond in helping students and families and are truly, Educators Making a Difference. Renee Stilz of The Glen Montessori School – The school year doesn’t end for Renee Stilz of The Glen Montessori School. Once classes end, she continues on as director of their renowned International Summer Camp. Ms. Stilz received her degree in Elementary Education from the California University of Pennsylvania. She then went on to teach traditional pre-school but felt something was missing but when she was introduced to the Montessori Method, she found it to be both very inspiring and life-changing. Ms. Stilz explains, “Unlike other schools where teachers offer a group lesson, here at Montessori, we teach to the individual; we follow the child and teach to the child’s needs and it’s incredible to watch each child blossom in this incredible environment.” Then, for the summer, the school offers its International Summer Camp where each week, summer campers will experience different cultures from around the world through, art, music, dance, science, cooking various cuisines, playing a country’s sports and games, going on a weekly field trip and so much more. The individual cultures include Mexican, French, Irish, Brazilian, Chinese and many others. The experience is designed to broaden both a child’s mind and create curiosity to travel the world. To learn more about The Glen Montessori School or its incredible International summer camp, visit http:// www.glenmontessori.org. School Movers & Shakers Shaler Area Shaler Area High School student musicians received 16 top awards as well as the Dr. Tim Lautzenhauser’s Esprit de Corps Award presented for the students’ exemplary attitude of positive support and outstanding personal behavior. Shaler Area School District announced that Clint Rauscher has been hired as the new athletic director. Shaler Area student Gavin Dietz, a second-grader at Clint Rauscher Marzolf Primary School will make his film debut in Me and Earl and the Dying Girl when it is released in June. The film was shot in Pittsburgh last year. Shaler Area High School junior David Berdik will represent the school district in the Future Business Leaders of America’s National Leadership Conference after placing second in the state in the Desktop Application Programming category at the FBLA National Leadership Conference. at the annual International Criminal Court (ICC) High School Moot Court Competition. The event was sponsored by Global Solutions Pittsburgh and hosted by the University of Pittsburgh on April 10-11. The Seneca Valley Biology Club won first and third place in the Butler County Envirothon Competition on May 6. First place team included: Morgan Blanyer, Nicole Gloeckner, Hannah Kale, Katy Kolor and Jonnie Poepoe. Third place members were: Maya Albanowski, Hannah McCann, Nora Gavaghan and Connor Warren. Seneca Valley accounting students placed second and third at the Geneva College Accounting Competition. Second place team included: Melissa Karidis, Ann Chen, Katie Lutz, McKenzie Cullen and Adali Deiss. Seneca Valley was named the best overall ceramics program, out of 10 participating school districts at the 2015 Standard Ceramics: Suburban Pittsburgh School’s Exhibition on April 9. Dr. Tracy Vitale, Seneca Valley School District Superintendent of Schools, was recently appointed to serve on the board of directors for the Community Development Corporation (CDC) of Butler County. Her appoint runs through 2018. Retired Pittsburgh Steeler and current ESPN football analyst Merril Hoge talked with student athletes and their parents on April 29 at Hampton High School. Hoge discussed what it takes to become a successful athlete on and off the field. Three fifth graders from Evans City Middle School were recognized as 2015 BASF Earth Day poster contest winners. The winners were: Caroline Zulick won first place, Kelly Koegler placed second and Emma Conrad took third place honors. The U.S. Army STEM Asset Experience Truck visited Hampton High School on Apr. 13. Two Rowan Elementary School students placed in the National Energy Technology Laboratory (NETL) Earth Day poster competition in April. Ariana Drake placed second and Olivia Dejeet placed third out of 500 entries in grades K-4. Mars Area senior Shannon McChesney signed a letter of intent to join the Bears women’s cross country, track & field and indoor track & field teams at Kutztown University of Pennsylvania in Kutztown, Pa. Five Mars Area High School students received the Butler County Area Vocational-Technical School Principal’s List Award for the third nine weeks of the 2014-15 school year. They are: Gregory Carpenter, Kyra Acree, Sara Nuss, Travis Rychorcewicz and Alyssa Streb. Avonworth Middle School celebrated that it has been re-designated for a second time as a “PA Don Eichhorn Schools: School to Watch.” The Middle School was first designated as a School to Watch in 2009 and received its first re-designation in 2012.
place in the United States and 10th place in the World event. Mars Area Middle School seventh-grader Jenna Sutton received a first place award in the 2015 Animal Friends “Be Kind to Animals Week” Poster Contest. North Allegheny Two North Allegheny seniors, Kara Belsky and Caroline King have been chosen to receive the North Caroline King Kara Belsky Allegheny Federation of Teachers (NAFT) Scholarships. Sixty-two North Allegheny High School students garnered gold and silver medals for their performance on the 2015 National Latin Exams. Avonworth Avonworth High School principal Dr. Kenneth Lockette has been appointed to the new position of assistant superintendent for the Avonworth School District for a four-year term. Pitt Basketball Coach Jamie Dixon dined at Avonworth Primary Center on May 19. Dixon was at the school to celebrate with second grader, Fiona Mahan who was the winner of the BABB Gives Back annual charitable giving initiative. OLSH Our Lady of Sacred Heart junior, and Cranberry Township resident, Courtney Alexander, won the WPIAL Championship in the high jump which was held on May 14 at the Baldwin High School track. Alexander took first place and beat the OLSH school record of 5’3” with her jump. Camden Fuller, Julia Galbraith, David Jen, Chenwei Liang, Ania Luckiewicz, Kelly McSteen, Marissa Muth, Mary Reid, Victoria Thacker, Brianna White, and Ruining Yang. St. Sebastian Ten Saint Sebastian students participated in “Mathletics” as part of the Math 24 challenge. Emma Polen, Sydney Ryan and Michael Taffe advanced to the semifinals, with Cannon Herring finishing fourth in the final round and Luke Gaertner taking third place. Providence Heights Alpha School Providence Heights Alpha School eighth grader Christina Patterson of Wexford has been selected as a 2015 Carson Scholar. Aquinas Academy Two Aquinas Academy fourth grade girls Grace Gasior and Julia Meland donated their hair to organizations helping children and women who have lost their hair through illness or trauma. Aquinas Academy hosted a chess tournament for K-8 Catholic school students on April 27. Sixty-four students from 14 Catholic schools participated in the event. Shady Side Academy Shady Side Academy senior Brendan Leech has been selected as one of 565 semifinalists nationwide to advance to the final round of the 2015 U.S. Presidential Scholars competition. Leech is among just 17 semifinalists chosen in Pennsylvania and four in the Pittsburgh area. Two Shady Side Academy seniors have been awarded National Merit Scholarships for 2015, earning the distinguished title of National Merit Scholar. They are Krishna Patel and Tyler Demchak. Three eighth graders at Shady Side Academy Middle School won awards in the Third Annual Martin Luther King Jr. and Women’s History Month Essay contest conducted by the Girls Coalition of Southwestern Pennsylvania and presented by UPMC. The winners were: Walter Navid, Erin Simard and Ariel Rockman. Oakland Catholic On May 1, the Class of 2015 at Oakland Catholic dedicated a Peace Pole as their senior class gift to the school. The pole displays, “May Peace Prevail on Earth” in eight different languages. Management consultant Christine Spadafor delivered La Roche College’s commencement address, advising graduates on lessons learned during her career as a lawyer, board advisor, management consultant and entrepreneur. La Roche conferred 392 degrees at the ceremony. La Roche College announced its 2015 Distinguished Alumni Circle Awardees: They are: Eucario Bakale Angue Oyana, Very Rev. Andrew J. Deskevich, Peggy H. Eddens, Steven C. Fleisch, Natasha Garrett, Kevin M. Gyke, Dana Z. Keefer, Zachariah Milch, Stanley M. Pittavino, Lejla Uzicanin and Richard L. Vareha. Twelve La Roche College students became members of Delta Mu Delta, the international honor society in business. They are: Jaffar Mohammed Alobaid, Ali Salman Al Sinan, Shaker Hashem Azmerli, Tiffany Babinsack, Peter Michael Biernesser, Kaitlyn Hendrickson, Genna MacDonald, Derek Meeder, Amy Nichols, Paige White, Andrew Wolf and Christian Wolosik. St. Vincent College Alexander Scialabba of Butler, a junior criminology law and society major with a minor in theology has been elected president of the senior class at Saint Vincent College. Zachary E. Ligus, a biochemistry major and theology, mathematics, chemistry and biology major has been named the 41st winner of the President’s Award, Saint Vincent College’s highest honor. Danielle Guindon, a senior psychological science major at Saint Vincent College, was awarded the Mary Waterstreet Prize in Psychology for her presentation at the 2015 National Convention of the Alpha Chi National College Honor society in Chicago. Ben Schachter, professor of visual arts at Saint Vincent College’s school of humanities and fine arts, has had his book Contemporary Jewish Art: Graven Images, Melachot and Conceptual Art accepted for publication by The Penn State University Press. Brother Albert Gahr, O.S.B., assistant professor of biology at Saint Vincent was honored with the Quentin Schaut Faculty Award. Five freshman biology majors at Saint Vincent College have been named S-STEM Scholars and awarded four-year scholarships valued up to $40,000 each. They are: Matthew Oleyar, Emily Kutch, Garret McCall, Kathryn Straatmann and Carrie Hastings. Michele Gil-Montero, associate professor of English at Saint Vincent College has published a new book of poetics in translation called Dark Museum. Dr. Timothy Kelly, professor and chairperson of history at Saint Vincent was honored with the Boniface Wimmer Faculty Award. Stephen P. Neitz has been named dean of admission at Saint Vincent College, effective June 1. West Penn Power Sustainable Energy Fund has awarded a grant of $25,000 to Saint Vincent College to support efforts to reduce energy costs while improving the lighting in parts of two prominent public spaces. Studies show that children are more likely to eat fresh, seasonal produce when it comes from a farm or farm market that they have visited. Our local farms and farm markets make sure families and children are welcome, involved and encouraged to learn or enjoy their visits to their local farm, offering kid favorites, activities, tours and so much more. their laying hens produce a high energy white and brown shell eggs and their chicken feed is fortified with vitamins, minerals and amino acids to enhance nutritional values and their homemade gourmet sauerkraut is fermented and offers natural pro-biotics for the digestive tract. Like our high energy eggs, not all sauerkraut is the same. Two ounces a day of fermented sauerkraut gives you ample pro-biotics. They also offer Pasture Maid Creamery’s raw un-pasteurized and un-homogenized milk and cheeses. Raw dairy is live with all the beneficial vitamins, minerals and enzymes and their fields are organically fertilized which provides countless vitamins, minerals and trace elements to enhance all our vegetables. Eichner and Dr. Lytle are also in the process of recording several podcasts on wellness and the benefits of healthy farming. To learn more, Eichner’s offers a must read book by Dr. Millie called “Eating for Meaning Workbook” and Ron is available on-site to answer questions and assist customers of all ages with their needs. Visit us (coming soon) at www.eichnerfarm. com and www.milliesays.com or email eichnerfarm@gmail.com or call 724-935-2131.
industry well,” says Paul Sullivan, vice chairman of the National Association of Home Builders Remodelers. •	Make sure the contractors are currently licensed and registered. These requirements vary by state, so ask your local or state agencies for specific details. •	Request proof of insurance. “Contractors should have liability and workers’ compensation insurance,” Sullivan says. This can help protect you against injuries or property damage that might occur. •	Get at least three different estimates. Ask the contractors to explain any differences, and avoid immediately choosing the contractor with the lowest cost. •	Once you’ve selected a contractor, insist on a written contract. Some things the contract must include: the contractor’s contact information, a project timeline, a payment schedule and permit requirements. “Your contract also should have a clause allowing you to cancel the contract and seek a return of unused funds if the contractor can’t complete the project,” Sullivan says. 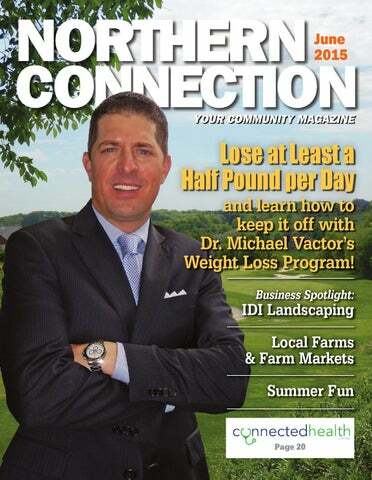 Featured in this issue: -Local Farms & Farm Markets -Pittsburgh Summer Fun -Lose weight this summer with Dr. Vactor's Weight Loss Program!